Sport Court of Southern California: Champion Coaching Tips! While your child starts their own legacy on the court, assist them with these helpful ten coaching tips. 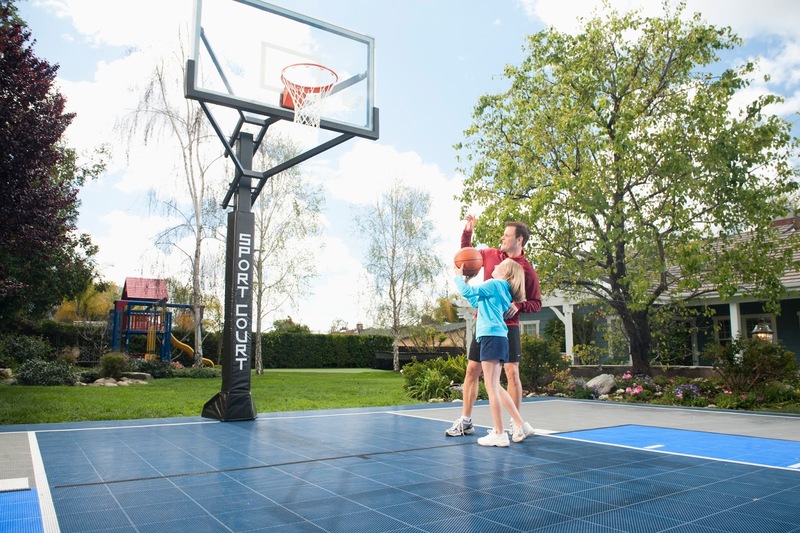 Sport Court Game Courts are built for champions, and with these tips you can help your child become one! Understand Your Athlete: Take notes on their unique footwork to the hoop. Obtain their body mass, measurements, etc. to figure out their personal capabilities. Master their ball handle that leads to a successful bank shot. Provide Research: Obtain information on legends that have a similar shot stance to your child. Get research on how legends such as Jerry West conquered his dribbling and shooting skills. Show information about the mechanics behind each athlete that made them one for the record books. Guide: Mentor your athlete by teaching them what needs to be done for them to succeed. Step-by-step assist them in positioning themselves for a stronger defensive stance. Acknowledge: Remember practice makes perfect. Praise them for their efforts in repeating certain formations. Discipline and Direct: Coach with respect instead of harsh criticism. Stop the put downs and yelling. Your athlete will know you care about their success when instructive advice is given to them in a professional manner. Set Goals: After practicing free-throws and layups for a couple weeks, notify your star that every Friday, there is a set goal of 10 successful free-throws and layups. Creating goals will only have your athlete striving for something greater. Make Adjustments: Notice their right foot is uneven when their on the free-throw line. Describe the minor adjustment the need to make that will help lead them to better play and technique. Inspect for Improvement: Show them how far they have come from the start. Discover how their simple adjustments have strengthened their skills. With them figure out areas for improvement to advance their level on the court. Encourage: When they make a shot or successfully dribble without traveling offer words of encouragement. A simple "Great Job today!" can reflect on your athletes performance going forward. Provide Resources for Transformation: Help them be more confident and trustworthy of their personal capabilities. Providing them with high-performance Sport Court Game Court and all the resources they need for a momentous journey can help their growth into a champion athlete.